You know your product is distinct from others which is your USP. Then why go for ready-made apps. Mobile apps are innovative tools to manage digital communication. Businesses, small, medium or large, can develop a mobile app of their own to engage with their target audience. Get customized mobile apps done from a professional mobile app development company. 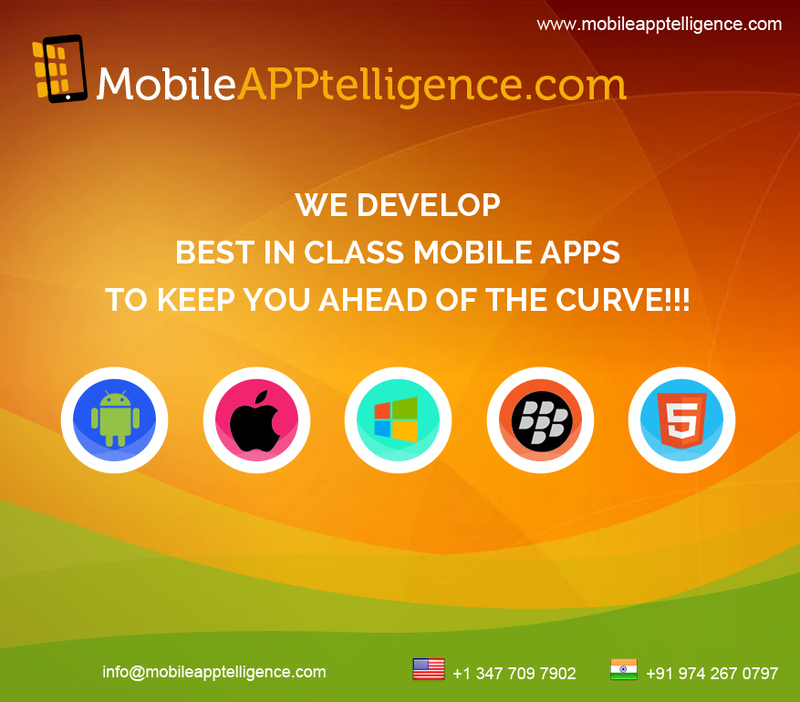 MobileAPPtelligence can design and develop mobile applications which will enhance your brand reputation. The mobile app we make for you will increase the interaction between you and your customer, leading to more business, as well as more regular and loyal customers.You will be able to send notifications to the mobiles of your customers informing about new offers, products or services, contests, etc. You can know how many people download your app from the app store. You can have a good perception of the success of your business strategies by getting the statistics of conversion, interest in products, etc. Our experienced designers will see to it that your app will have a premium appearance. Robust analytics is another specialty of apps made by MobileAPPtelligence. We will transform your vision of a mobile app to a compelling mobile experience for your customer. For example : A customized Car Rental App specifying all the rates, type, pickup and drop policies, packages will be monetised faster compared to car rental website as the visitors find it easy to search and book the cars for transfers (oneway /bothway). This entry was posted in Mobile Apps Development and tagged Mobile App Developer, mobile app developer india, Mobile App Development Companies, mobile app development company, mobile application development company, mobile apps developer, mobile apps developer in india, Mobile Developer, Mobile Developers, mobile web developer, mobile web developers. Bookmark the permalink.